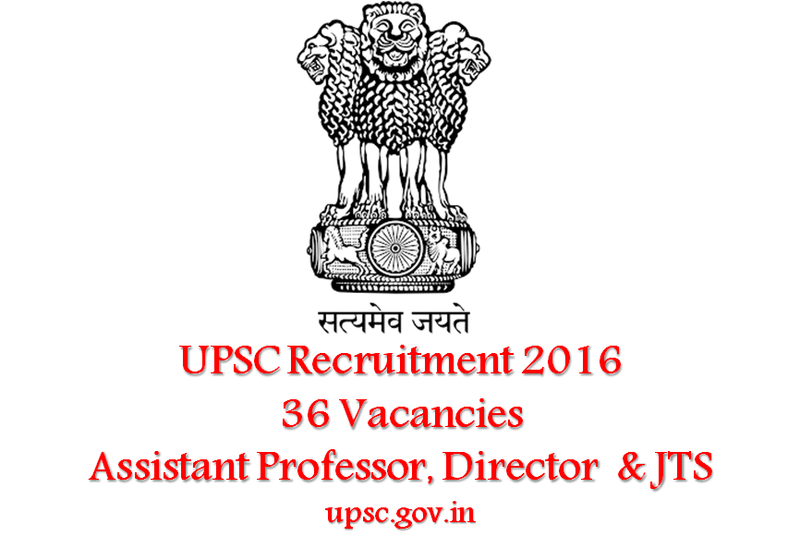 UPSC invited applications for recruitment to 36 Junior Time Scale Grade of Central Labour Service & Other posts. The candidates eligible for the post can apply through prescribed format on or before 01 December 2016. Union Public Service Commission (UPSC) Job Notification: UPSC invited applications for recruitment to 36 Junior Time Scale Grade of Central Labour Service & Other posts. The candidates eligible for the post can apply through prescribed format on or before 01 December 2016. Educational Qualification for Deputy Director (Aircraft Engineering) Post: Degree in Aeronautical/Electrical/Electronics/ Mechanical/ Metallurgical Engineering from a recognized university or equivalent. Eight years’ experience in aeronautical research and development or design or laboratory investigation of failed aircraft parts/Flight Recorders involved in accident/incident or Airworthiness Engineering. Educational Qualification for Joint Director General in National Museum Post: Master’s degree from a University recognized university by University Grants Commission or Association of Indian Universities in Museology or History of Art or History or Sanskrit or Pali or Prakrit or Persian or Arabic or Archaeology or Anthropology or Fine Arts or Chemistry. Twelve years’ of experience at a level of Curator and above in a Museum of National or International repute along with evidence of published research work. Educational Qualification for Assistant Professor (Survey and Engineering) Post: Degree in Civil Engineering or equivalent from a recognized University. Three years experience in Survey and Engineering. Educational Qualification for Junior Time Scale (JTS) Grade of Central Labour Service Post: (i) Degree of a recognized University; (ii) Diploma in Social Work or Labour Welfare or Industrial Relations or Personnel Management or Labour Law from a recognized University or Institution. Interested and eligible candidates are required to send their application in the prescribed format. Candidates are required to pay a fee of Rs. 25/- (Rupees Twenty five) only either by remitting the money in any branch of the SBI by cash or by using net banking facility of the SBI or by using visa/master credit/debit card. No fee for SC/ST/PH/Women candidates of any community. No "fee exemption" is available to OBC male candidates and they are required to pay the full prescribed fee.